Which Comic Creators Charge How Much For Signing A Comic? 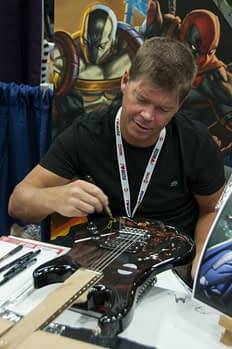 Home » Comics » Which Comic Creators Charge How Much For Signing A Comic? Bleeding Cool has been following the debate as to whether comic creators should charge to sign their comics at conventions. 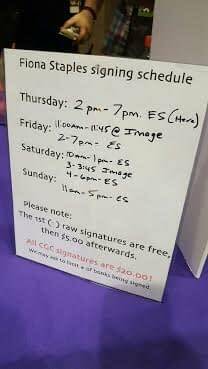 The arguments against are that the fans have already bought the comic and paid to get into the show, and the show has often paid for the creator to appear there, so any extra charge is scalping the fans. Many creators also donate the money earned at such events to a worthy cause. Well, here are some fees charged at recent shows as reported by attendees. Feel free to correct them or add new ones. John Romita Jr – three for free, then $2. $10 for CGC grading. Len Wein – $5, $20 CGC grading signings, $25 for Hulk 181, Giant Size X-Men #1 or House of Secrets #92. Jimmy Palmiotti & Amanda Conner – free for 5 books, $2 after, $5 for CGC.